I have pushed the grilled cheese envelope before, with salmon, potato pancakes, quesadillas and bruschetta and am doing it again with pasta. My father recently purchased Ohio City Pasta and I have been trying to devise how to include said pasta within a grilled cheese. The problem with my thinking was that I was trying to include the pasta with bread (a lot of carbs), as opposed to using it as the bread. 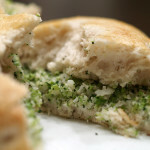 Now, I finally created a blue cheese recipe, that although it may not be a grilled cheese sandwich, was very tasty. 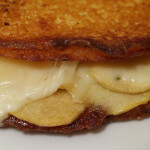 I was thinking of what other cheeses to prepare with this very unique and quite possibly not grilled cheese when I first thought of Gruyere. Good choice, but one that I felt I had used too often. My next thought was blue cheese, which it appears, I have only used once. 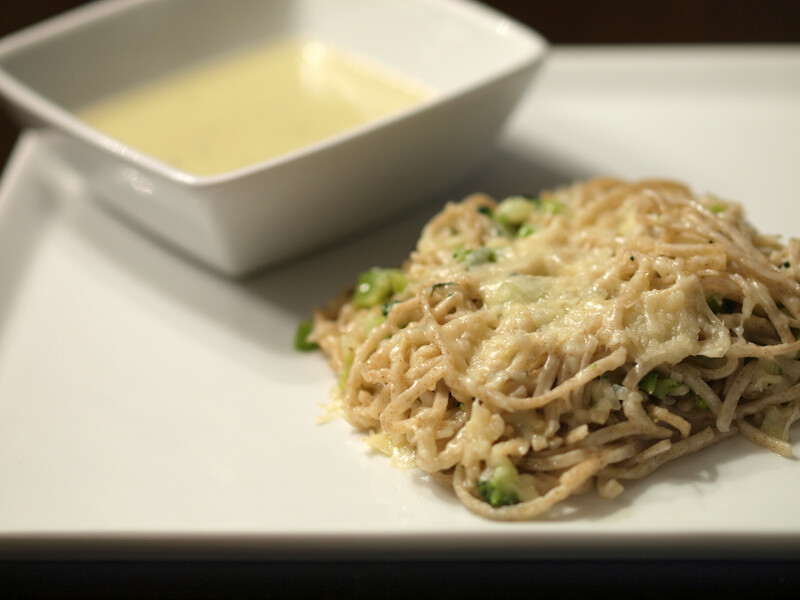 I was not going to include it directly in the “sandwich,” yet on the side in a cream sauce, similar to an Alfredo. 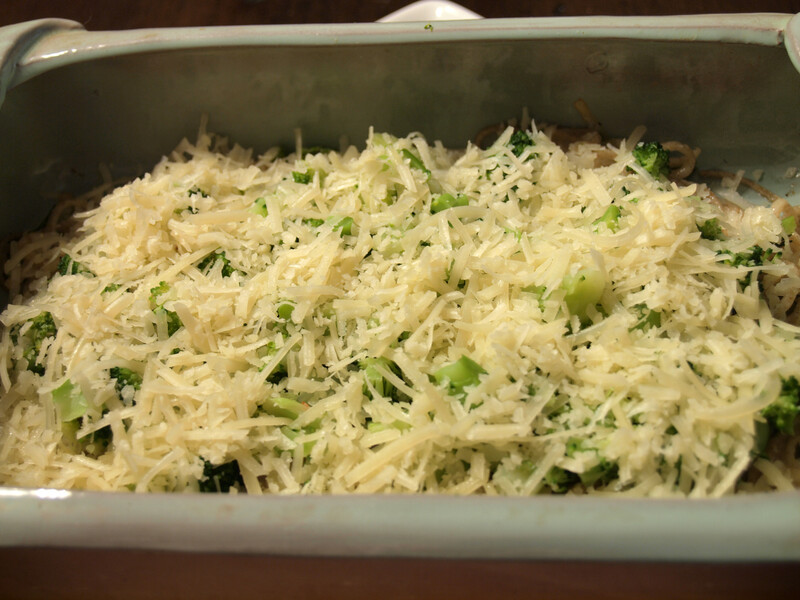 The cheese production begins with the morning milking at about 2:00 am. Around 4:00 a.m., the fluid milk is pumped directly into stainless steel vats in the cheese production facility adjacent to the milking barn, guaranteeing a freshness that can’t be duplicated. Several natural ingredients are added to the Grade A, raw milk: cultures for flavor and to increase acidity, enzymes in order for the curd to form, kosher salt for flavor and mold (penicillium roqueforti) to create the blue veins in the cheese. When the milk reaches a specific pH level and the curd feels right (a combination of science and art), the curd is cut, the whey is drained from the curds and the curds are hooped (poured) into forms to make the wheels. 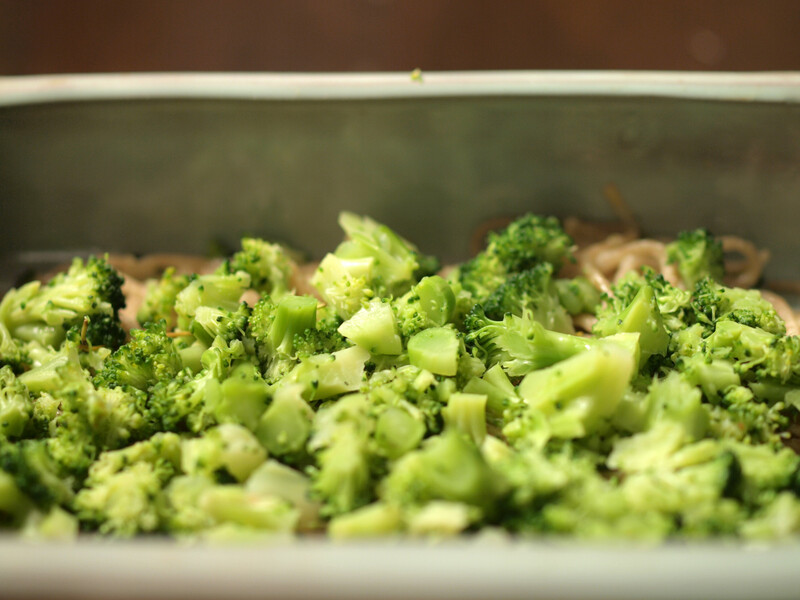 After boiling the pasta for a few minutes, I tossed it in olive oil, salt, pepper, fresh/garden-grown rosemary/thyme, some Parmesan cheese and a small amount of chopped broccoli. 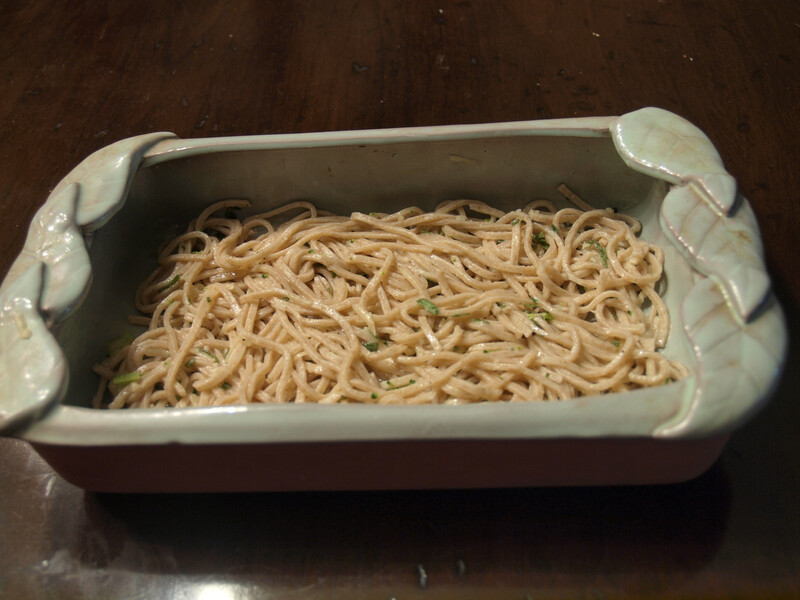 The photos below demonstrate how to compile this pasta grilled cheese, in a baking dish, preferably rectangle (or square). Yes, unfortunately, I know: this is not a grilled cheese, unless you are using a very liberal definition of “grilled cheese.” The idea stemmed from hoping to create a grilled cheese sandwich and instead succeeded in concocting something between a pasta dish and a pasta sandwich. 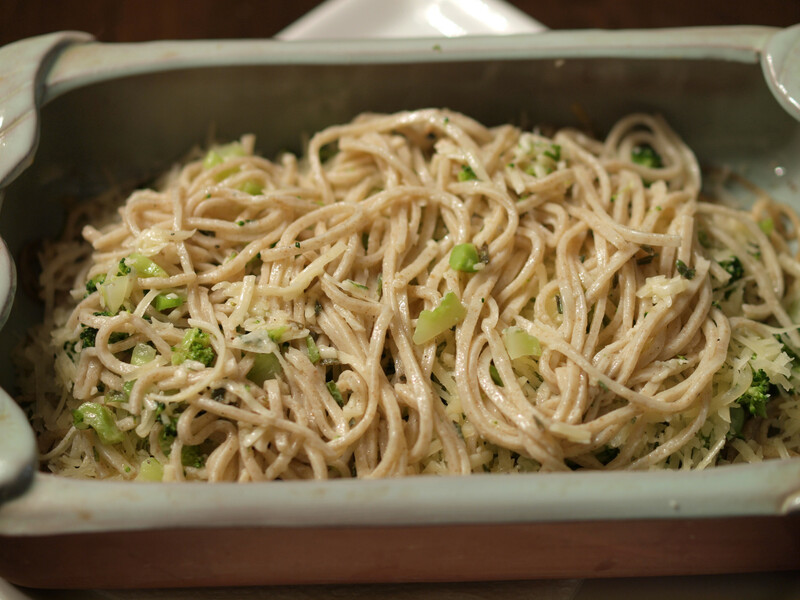 On its own, the whole wheat pasta and blue cheese tasted delicious. 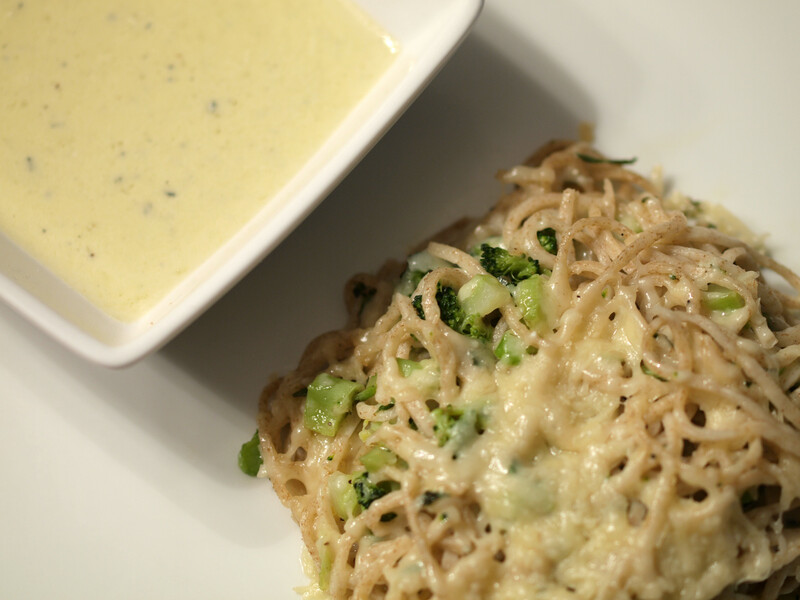 The blue cheese sauce, although a bit overpowering, was a delicious addition and could be used in many a creation. I would say no matter how one categorizes this creation, it was a winner (especially since father loved it). 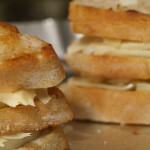 Taking photos of grilled cheese sandwiches, no matter how different and unique they are, does get old after awhile. 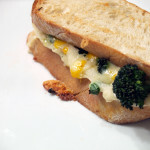 This pasta-blue cheese-grilled-cheese-thing allowed me an escape to photograph a completely new food. 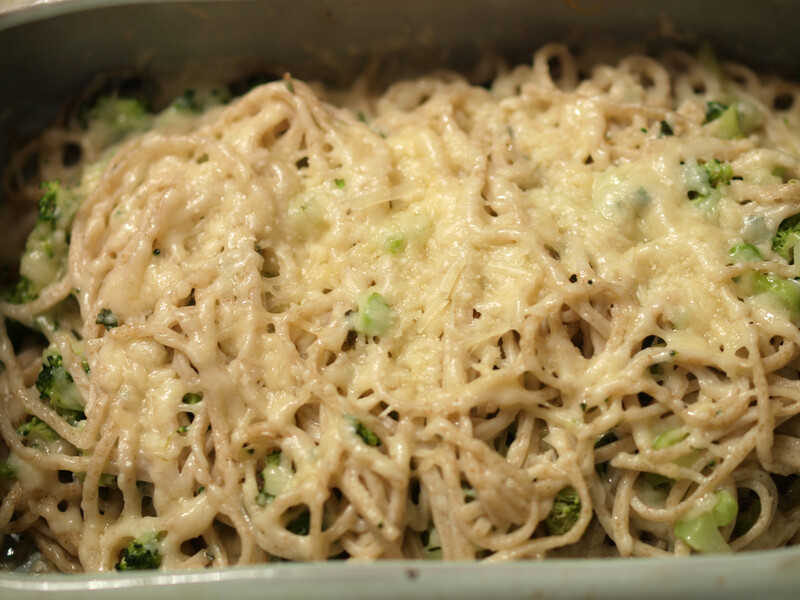 Posted in Grilled Cheese and tagged A, baked, blue cheese, broccoli, parmesan, pasta. Thanks! Since this is your favorite grilled cheese, I must believe that you actually think it is a grilled cheese. Yay! 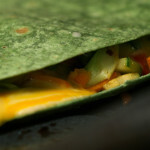 Your frittata idea is perfect and something I will definitely have to try. My dad loved my version, so I am sure he wouldn’t mind trying an improved version. It will be interesting to compare the two.